Client Brief : The client is into trading of Toys. They wanted a website which had a use of vibrant colours and which had a feel of toys written over it. They wanted a website which would depict their various different brands. They also wanted the website to showcase the various different categories of Toys that they deal in. 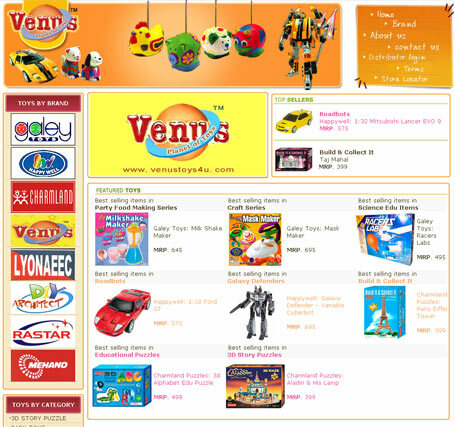 Solution Provided : The colours used in the website were all vibrant which depicted the basic idea of toys across the website. The design and font selection all matched the brief given by the client. A backend was provided to the client to add categories, brand and products. Accordingly you can add products, update categories and brand for the website.